Drug manufacturer Johnson & Johnson was ordered to pay $4.69 billion in damages to 22 women and their families by a St. Louis jury recently. 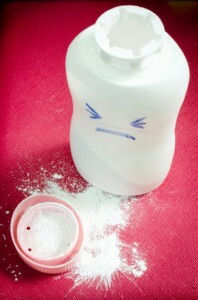 The women charged that the company’s talcum powder products included asbestos that had caused their ovarian cancer. Talcum powder is an ingredient in some of Johnson & Johnson’s best-known products, including the popular Baby Powder and Shower to Shower. Asbestos has been known as a carcinogen since the 1970s, and was removed from products in that decade. Johnson & Johnson has long maintained that the talc the company uses in its talcum powder products does not contain asbestos. The jury awarded $550 million in compensatory damages to the women and their families. Six of the 22 plaintiffs have died of their cancer since the initial claims were brought, and one was undergoing chemotherapy and too ill to attend the courtroom proceedings. All the other plaintiffs and their families were in the courtroom. The other $4.14 billion was awarded as punitive damages. Punitive damages are often assessed as a means of punishing the defendants for wrong-doing, and providing a deterrent. The punitive damages were among the largest ever granted, according to the plaintiffs’ attorney. The lawsuits claimed that Johnson & Johnson failed to warn the medical community and patients of the potential cancer-causing potential of asbestos in the talc. The plaintiffs’ attorney argued that the products should be required to have warning labels attached. The 22 cases in St. Louis are a minute fraction of the more than 9,000 talcum powder lawsuits pending against Johnson & Johnson alleging that their products caused ovarian cancer. The particles from the products are thought to have penetrated the internal organs of women who used them, often for decades. The company also faces cases alleging that its talcum powder products caused mesothelioma, an often fatal cause of cancer, in people who used them and inhaled them, also often for decades. Johnson & Johnson indicated it would appeal the award, citing “multiple errors” in the trial. It has successfully appealed several others. In 2017, for example, a jury awarded $417 million to the plaintiffs, but the verdict was later overturned. A new trial is pending. In the first J&J talc trial, in 2013, a jury found for the plaintiffs but did not award damages. The cases in St. Louis were part of a cluster of trials intended to provide information about how the jury will view facts and information in similar trials.